The Gordon L. Grosscup Museum of Anthropology at Wayne State University has been a training ground for students and area residents interested in local history and archaeology for generations. Founded in 1958 by Dr. Arnold Pilling, the museum has long been a center for local archaeological research. In 2010, the Museum was re-named the Grosscup Museum of Anthropology in honor of its first Curator, Professor Emeritus Dr. Gordon L. Grosscup. From 1995 to 2016, Dr. Tamara L. Bray was the museum's director, in addition to being Professor of Anthropology. In August 2018 a new position of Director of the Museum of Anthropology & Planetarium was created, and Dr. Megan McCullen has taken on this role. Over the years the Museum of Anthropology has been housed in a variety of campus locations. In 1997, the Museum moved to its current location on the first floor of the historic Old Main building. Old Main, constructed in 1896, is the oldest building on the Wayne State campus. It underwent complete renovation in the mid-1990s and was reopened to the public on the occasion of its 100th anniversary. The Museum's collections consist of over half a million archaeological, ethnographic, and contemporary objects. The majority of the Museum's holding pertain to North America, with an emphasis on Michigan, though materials from around the world are housed in the collections. The Museum's largests collections emphasize local historical and archaeological materials of the greater Detroit region. 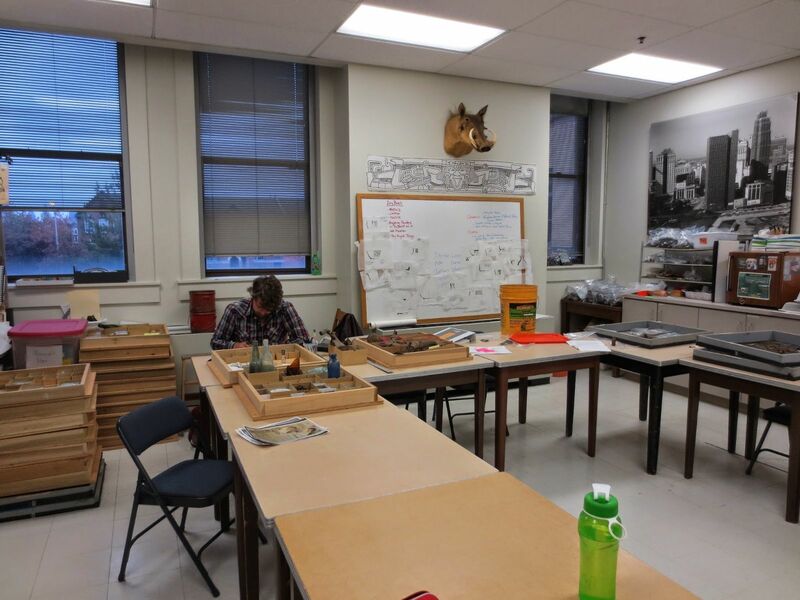 The majority of these collections have been gathered through archaeological investigation and WSU student field schools over the past 60 years. Using collections, students learn about standard museum cataloging and proper curation practices. 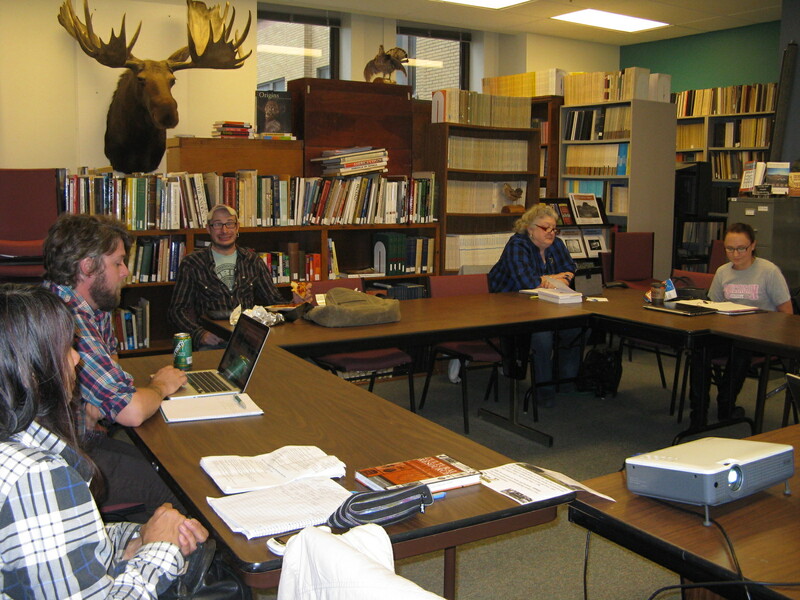 Collections are also available for anthropological research and analysis. There are significant research opportunities available to students interested in working with the museum's collections. 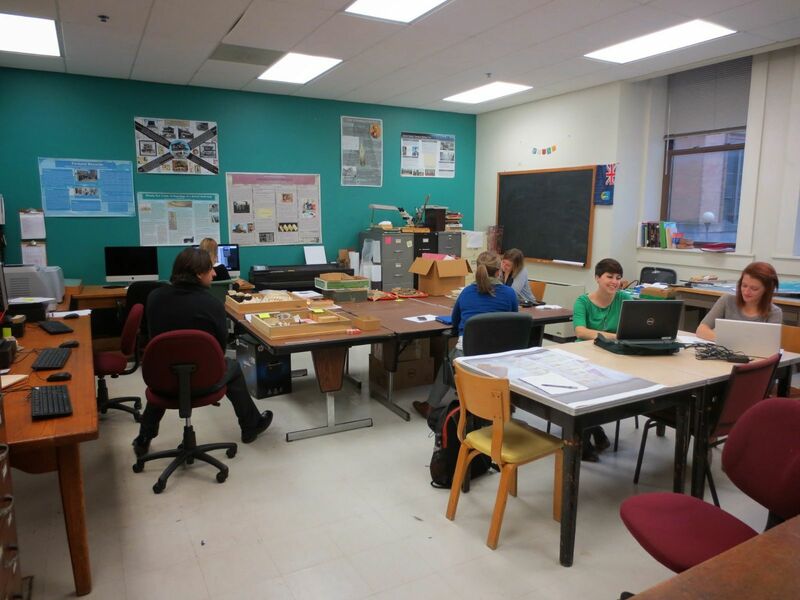 The Archaeology Lab is outfitted with binocular and polarizing microscopes, thin-sectioning equipment and a kiln for ceramic analyses. We also have equipment for 3D scanning and 3D printing, a large-format printer, and a headset and software for developing virtual exhibits. The lab has an extensive library and comparative material culture collection that students can use for artifact identification. Our computers have ArcGIS and PastPerfect 5.0 in addition to word processing software. Field equipment for archaeological field work, including Munsell charts, screens, shovels and a Trimble receiver, are also housed in the museum. PATT (photo artifact turntable) is a device built here at WSU to generate PTMs (polynomial texture maps, HP Labs). PATT takes 40 photographs of an object with the light source coming from 40 different positions to create very high contrast images of details that may otherwise be obscured. Left image: printing plate image taken with PATT that revealed written inscriptions. Diffused-light photography box used to reduce glare when photographing artifacts. Kiln used for experimentation on clay types and firing techniques. Thin-sectioning Saw used for taking thin and precise sections of ceramics and clays for compositional analysis using a microscope. GIS (Geographic Information Systems) is a computer program outfitted on our lab computers. This program allows for the capturing, storing, checking, and displaying of data related to the Earth's surface. We use this program to map archaeological sites and surrounding features. Stereomicroscope used for analysis of archaeological materials. Printrbot 3D Printer and NextEngine 3D Scanner used for scanning and printing diagnostic artifacts for analysis, teaching, and comparative research. Pictured right is a human femur in 1/4th scale. The Anthropology library has a substantial four-field collection of books, in addition to books on Michigan history. We also house a variety of various of local and trade journals. For those needing to relax, we also have an extensive collection of anthropologically themed fiction. The archives contain site files, field notes, photographs, maps and other primary documents associated with our archaeological collections and museum, along with early archaeology of southeastern Michigan.